Manufacturers holding CCC certificates for their products must comply with the applicable Chinese regulations for CCC certification compliance (the official Implementation Rules and GB standards). The applicant/certificate holder is responsible to announce any planned relevant changes by submitting the required applications and to implement changes only after approval by the Chinese authorities. The CCC Implementation Rules explicitly state that only the responsible certification body will decide if an official change application must be filed and what the corresponding consequences for the certificate holder will be. In case there are major changes regarding the certified product itself, the applicant may be required to send samples for testing in China. If the production line is going to be shifted, or the entire factory will be re-located, Chinese authorities will typically require a new initial CCC certification or at the very least a factory inspection of the new facility by Chinese auditors. CCC certificate holders often report changes which have already been implemented during their annual audit. However, this is not the accepted way to notify the Chinese authorities of changes. Factories run the risk of non-conformance and possibly even suspension or revocation of their certificate if they do not follow the prescribed procedures for change management set forth by the Implementation Rules. The Chinese authorities constantly work on improving the GB standards. As soon as a new GB standard becomes mandatory all changes in certificates and new CCC certifications need to comply with the new GB standard. 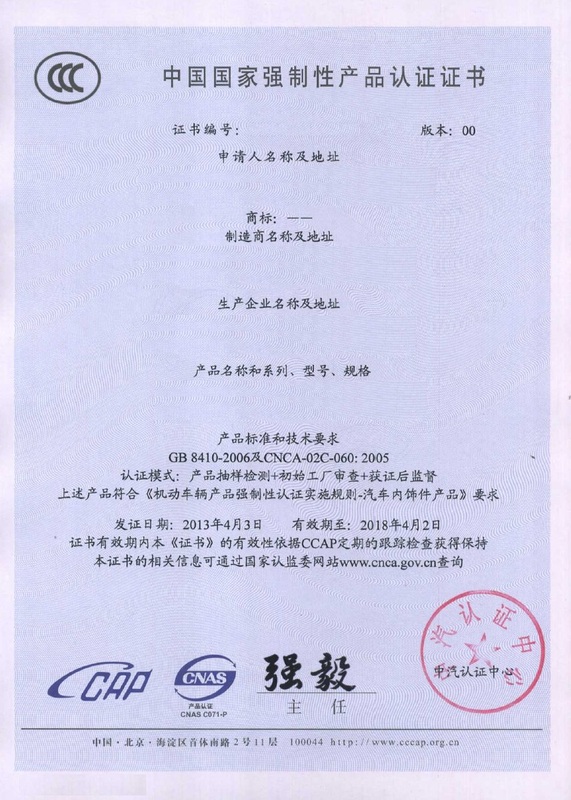 Holders of CCC certificates that are in compliance with the old GB standards will have to apply for a change of GB standard within the deadline specified by the Chinese certification authority and will be required to do product re-tests according to the new GB standard. The framework of the CCC certificates are determined by the “Implementation Rules”. Every product group has its own Implementation Rules where the CCC certification process, CCC certificate characteristics and regulations regarding the marking are set. When the Chinese certification authorities issue new Implementation Rules, certificate holders are responsible to apply for a change of certificate within a certain time frame after the Implementation Rule change has been officially announced. Valid certificates are required to comply with the most current GB standards and Implementation Rules. If certificate holders do not apply for a change of their certificate within the allotted timeframe, they run the risk of non-conformance and possibly even suspension or revocation of their certificate. If you are unsure whether you have made notifiable changes on your products without informing the authorities or if you plan to implement changes and you don’t know whether you need to file a change application, contact us and we will consult with the relevant Chinese institution(s) and get back with you regarding what you will need to do. We look forward to assisting you with any of your required certificate changes. We can also let you know of any new GB Standard(s) or Implementation Rules that apply to your product, and inform you if a CCC certificate change will be required. US: +1 773 654-2673) or email for any questions or concerns you may have.